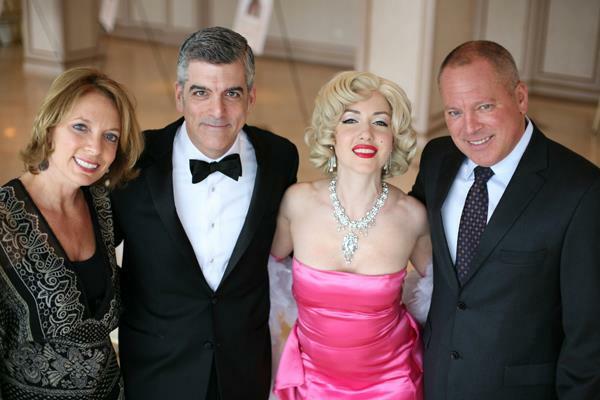 If you’re hosting a party or event that is themed around Hollywood, movies, lifestyles of the rich and the famous, or an Oscars Bash, dazzle your guests with a celebrity appearance! With ‘George Clooney’ walking down your red carpet, your themed bash will have much more of an authentic feel to it, making it far more memorable for your attendees. Regardless of whether you’re organizing a charity fundraising event, or are throwing an over-the-top engagement party, celebrity look alikes can keep your guests entertained, and happy. Keep your guests excited about the event, and make it truly special. Who wouldn’t want to be serenaded by ‘Frank Sinatra’? The more creative, live entertainment that you provide for your attendees, the more motivated they will be to stick around to participate, and see what’s going to happen next. In our totally “wired in” and technological world, the hallmark of a great event is when guests upload “selfies”, and other photos of the party. Your attendees generally can’t wait to share their experience with all of their family and friends via social media, just imagine the impact that having a celebrity look alike! Everyone would want to be sure to snap a photo of themselves with ‘Marilyn Monroe’ and get it online as quickly as possible. Creating photo ops is especially important for businesses or nonprofits, as any pictures uploaded to social media will promote your operation, and spread the word about your cause. When you throw a party, you want people to still be talking about it the next day, the next week, and even the next year later. What better way to accomplish this goal than by allowing a celebrity look alike to truly bring the celebration to life? Anyone can host an event with good food and dancing, but what your guests really want is for something new and exciting to happen. What if ‘Joan Rivers’ were to make the rounds at your party, critiquing the fashion sense of your guests? What if ‘Lady Gaga’ showed up in her craziest getup yet? Celebrity look alikes can create an experience that your guests will continue to talk about. [singlepic id=98 w=320 h=240 float=left]Why host an ordinary event, when a celebrity look alike can make it extraordinary. Contact Hal Prince Music and Entertainment about how a celebrity look alike can make your next party special.